Roche bobois is the story of two families, the Roches and the Chouchans, not predestined to meet. In 1950, Jacques Roche purchased the old Alexandre Dumas theater on rue de Lyon and built two stores. His sons, Philippe and François, joined the company and together established the company’s development strategy. They began to distribute the very best contemporary furniture, which was heavily inspired by Bauhaus designers, such as Minvielle, Steiner and Airbourne, and equally inspired by renowned designers such as Pierre Paulin and Marc Berthier. At this time, the Chouchans were selling furniture in Paris on Boulevard Sébastopol at “Au Beau Bois” (which later became Bobois). 1960 : Copenhagen Salon: The discovery of Scandinavian furniture. Not yet acquainted, Francois and Philippe Roche and Patrick and Jean-Claude Chouchan, attend the expo with the idea of importing furniture to sell in Paris. They meet and together design their first catalog which launches the national franchise. The adventure was just beginning. In 1961, they designed their first nationwide advertising campaign in Elle magazine. Sales boomed, and through this success, the adds proved the benefits of combining their resources and their names. From this point on roche bobois gained its own identity and became a brand name. In the 1970, the power of television sparked a profound shift in household and a sofa was a “must-have”. Sofas became the core of the “Les Contemporains” collection. In the 1980’s, Roche Bobois expanded its collection with the creation of “Les Provinciales”, a collection that would rethink traditional French furniture. The 1990’s were characterized by a trend to fuse ethnic influences. 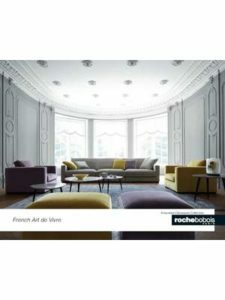 Roche Bobois responded to this trend with the creation of the collection “Les Voyages”. 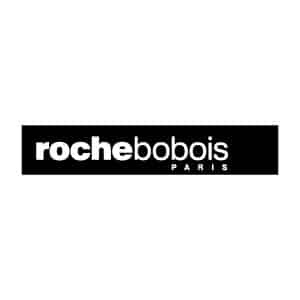 Roche Bobois is one of few in local furniture distributors to have successfully expanded globally, all the while creating a definable style in sync with the needs and desires of its customers. The beginning of the 21st century at Roche Bobois was marked by two significant events: A global expansion with more stores in an even growing number of prestigious cities of the world, from the former Lupari palace of Bologna to the futuristic buildings of Montreal. 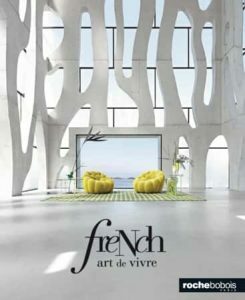 And the development of a richer partnership with designers and architects, who conceive and create with Roche Bobois striking yet useful furniture and objects that embody a certain idea of design: design for living. 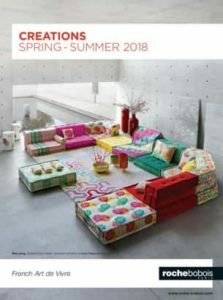 “In 2010, Roche Bobois celebrated 50 years of design and international development, with numerous events in France and across the globe. 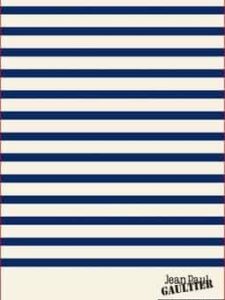 Notably, the brand initiated a partnership with the designer, Jean Paul Gaultier. This collaboration between Roche Bobois and Jean Paul Gaultier, two French presences with worldwide influence, reveals the shared history nurtured by fashion and décor: creativity, aesthetics, audacity and energy are its language, as well as expertise and a sense of detail. Today, Roche Bobois has a presence in 50 countries with an international network of more than 250 stores. 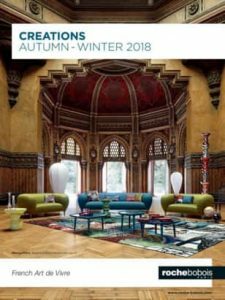 Its constant partnerships with renowned designers (Ora Ito, Cédric Ragot, Sacha Lakic, Christophe Delcourt, Stephen Burks…) and with global fashion houses (Jean Paul Gaultier, Sonia Rykiel Maison, Missoni Home) make it a unique player in terms of high-end furniture. Are you rather a table lamp or floor lamp? In any case, Pluma lights illuminate your home! Design Cristián Mohaded. 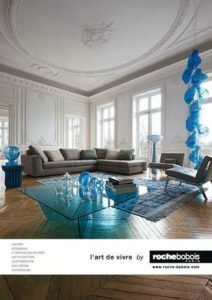 NEED MORE ROCHE BOBOIS INFORMATION ?